My friend is working in this project, so please consider backing it! You won't believe this, but there's another Kickstarter for a point & click adventure game. It's crazy, I know. Here I was thinking to myself "if only there were more kickstarter campaigns for point & click adventure games", and bam, one just pops up. Anyway, it's all rather British and stuff and is about exploring the galaxy to expand the British Empire. If nothing else, the pitch video is pretty well done. Mansion Lord combines a murder mystery business sim with tile-based world building and turn-based RPG combat. Build your mansion tile-by-tile, invite unscrupulous aristocrats to dinner, and, with the aid of your hired detectives, capture them for bounties after they slay the other guests. You can level up your detectives, equip them with hundreds of different weapons and accessories, and teach them a variety of skills. All in the name of profit! I dunno if it'll be any good (they say they're industry vets but don't list what games they worked on before coming together for this company) but the idea is pretty darn intriguing. On of the quotes says the game has great writing. Then a crewmate ries to dissuade a pirate(?) by teling him it's Christmas... Come ooon. We don't have much context from that video though, it sounded like the kind of cheesy one-liner you'd find in a tv show like Star Trek to me which may fit the game perfectly. The Mandate also got an article on Kotaku. Last 2 days have doubled their previous best day pretty much. more importantly they confirmed LAN support. Got a new Dreamfall Chapters update. 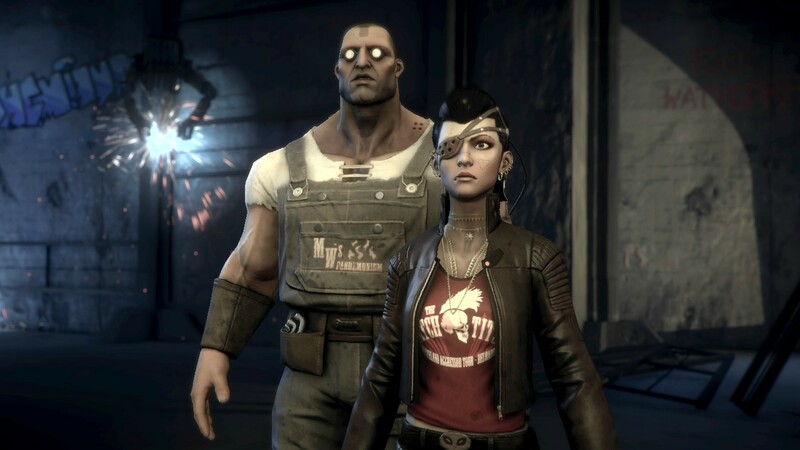 Looks like Borderlands 2 characters remade in Unity engine. My comment is more general, I know I can go search for the particular KS project or browse a certain gaming website but for example the article on Kotaku around Mandate and then those screenshots from Dreamfall there were no links for easy reference. Dreamfall and Consortium have already been funded. They are old kickstarters and I guess they may have been better suited for the Random News Thread. Edited by melkathi, 26 November 2013 - 03:22 AM. I'd love to see walk around bases as well. Maybe through PayPal after funding ends. You never know. Edited by melkathi, 26 November 2013 - 09:03 AM. And The Mandate made its goal. Melk I contributed towards this game after your endorsement. I'm probably the reason they made there goal, what do want to give me because I supported you? How about I won't force you to read the first three chapters of my failed NaNoWriMo attempt ? I am confused. I know I pledged, but I cannot find any record of it.